Minister of the Federal Capital Territory, FCT Malam Muhammad Musa Bello wants labour Unions and professional associations in the country to place a 5-Year moratorium on all forms of industrial action. This, he said, is a sign of patriotic sacrifice that would give Nigeria a chance to lay strong foundations for economic development and nation building. Bello, who made the plea in Abuja when the Association of Resident Doctors and the Nigeria Medical Association, NMA FCT chapters separately paid him courtesy visits, said most countries in Europe, Russia and Asia made the same sacrifices which enabled them to lay the building blocks for their strong economic growth today. The Minister thanked the Medical Doctors for their patriotism in not joining the brain drain train in search of greener pastures abroad, adding that the FCT Administration will continue to support them to ensure that they remain in the system as partners in progress. He gave assurance that the ongoing hospital projects will be completed to cope with the increasing demand on health facilities in the city. He disclosed that FCT Administration has reached some significant milestones in resolving many of the issues affecting health professionals that have been lingering for over 10 years, and therefore called for patience and understanding. 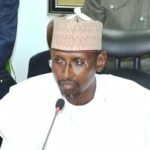 Bello however called for more private sector participation in healthcare in the FCT, saying that government alone cannot provide the required bed spaces and all the needed specialties. The Minister who was reacting to the reports of mass exodus of doctors from the country to practice overseas, appealed to resident doctors to resist the allure of seeking greener pastures and make necessary sacrifices for the greater good of the country. He called for introspection among the doctors, saying the countries they are rushing to today were once in similar situation as Nigeria and were only able to advance through shear hard work and sacrifices. Earlier in his presentation, the President, Association of Resident Doctors, FCTA Chapter, Dr Michael Olanrewaju appreciated the FCT Minister for taking the bull by the horn and approving the payment of 28 days allowance in addition to adequately equipping the hospitals and approving the skipping allowance for the doctors. 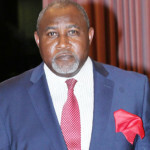 He however lamented that doctors that have been trained to high degree of proficiency in different medical disciplines in the FCTA were now leaving the country in droves, while those left behind were also spoiling to join the bandwagon. Olanrewaju said this has resulted in a situation where the doctors were now overstretched in their respective places of work, with low doctor-patient ratio making it difficult for them to function properly. This, he added, makes patients that could be conveniently managed at the primary level thronging the secondary and tertiary centres to access health care.